The Mavic Pro was a revelation. 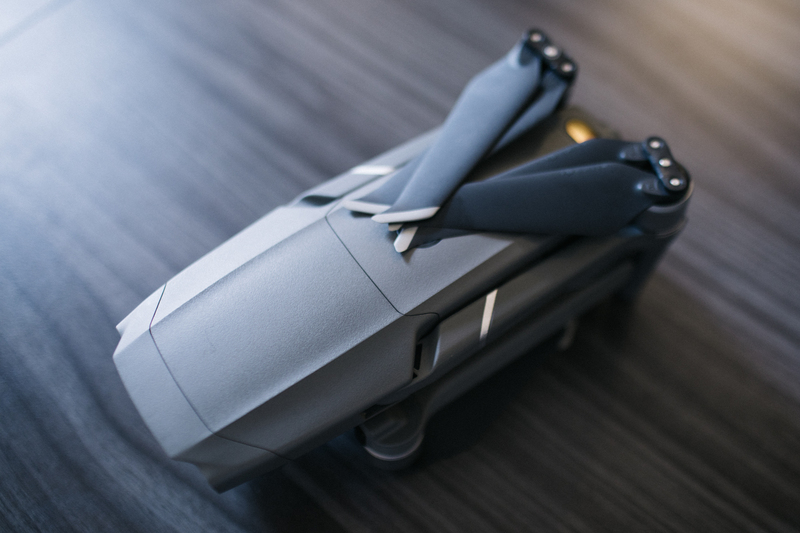 Introduced in 2016, the folding drone wasn’t perfect, but it helped usher in a new era of devices for DJI and the industry at large. 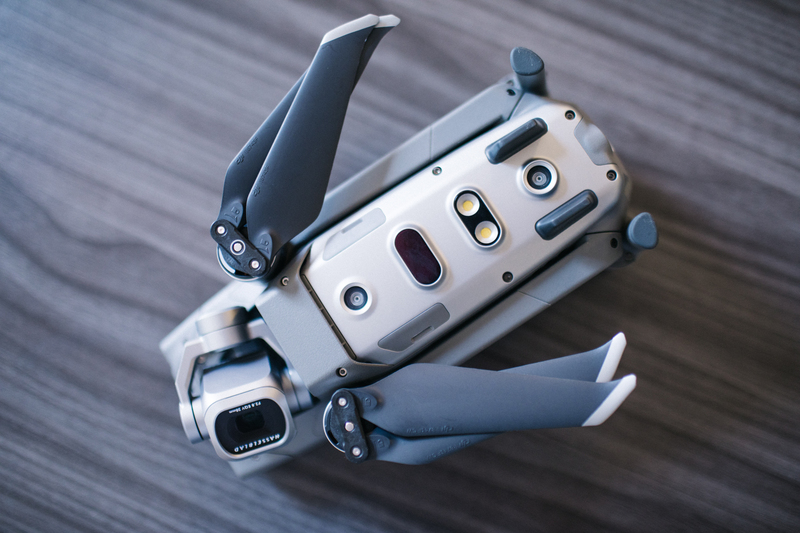 The original Mavic helped make consumer drones more portable and accessible, and spurred a line that now includes the Mavic Air and Mavic Spark. Two years later, the world’s largest drone manufacturer hit New York City to unveil the product’s successor. Like the original Pro, imaging is at the heart of the upgrade. 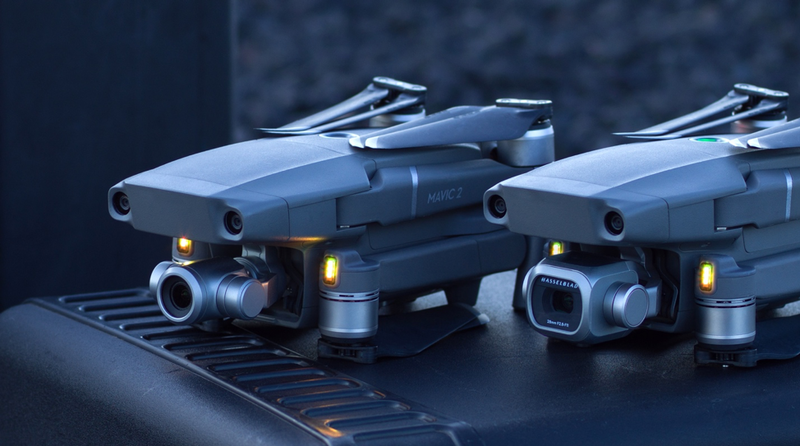 In fact, the Mavic 2 is being positioned as two distinct devices — the Mavic 2 Pro and Mavic 2 Zoom, the on-board camera being the only real difference between the two. It’s a confusing bit of branding, perhaps, for two products that amount to little more than different SKUs of the same device, but DJI wants to make it clear that the camera’s the thing here. Understandably so — photographers and videographers have long been a core demographic for the company. And more to the point, really, beyond camera upgrades, the Mavic 2 doesn’t represent a huge upgrade over its predecessor. The company called the products “our most technologically advanced drones” at a press unveiling in New York City this morning. A few of the camera features have been upgraded across the board, including the addition of enhanced dynamic range, for better shots in mixed lighting settings. 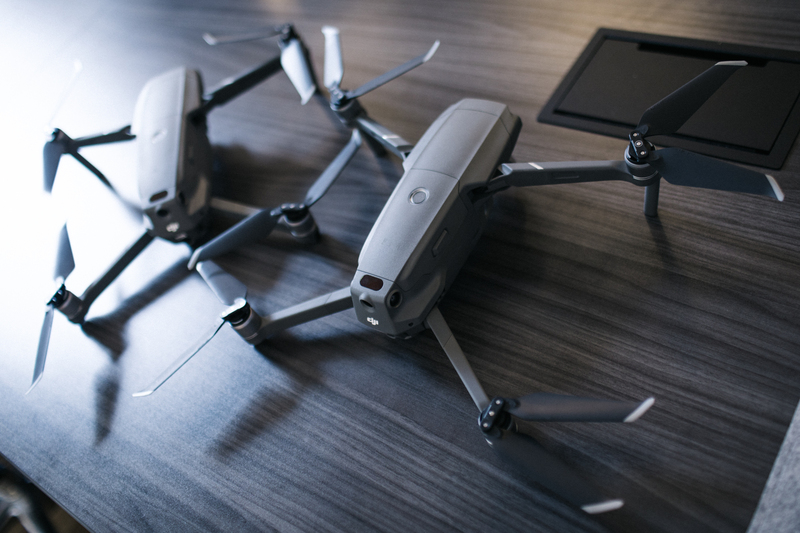 The Mavic 2 Pro is, as the name implies, the pricier of the two models. It’s the first DJI device to bask in the fruit of the drone-maker’s 2017 acquisition of Hasselblad. The camera is much larger than the one on the Zoom, bringing with it improved image quality over its predecessor. The camera captures 20 megapixel shots and uses Hasselblad’s proprietary Natural Color Solution (HNCS) tech to get more accurate color reproduction. The aperture is adjustable as well, giving shooters between f/2.8-f/11 for various lighting conditions. The Mavic 2 Zoom, meanwhile, is pretty much what it sounds like. The big focus here is the 2x optical (24-48mm) and 2x digital zoom, which combine to simulate the effects of a 96mm lens. The 12-megapixel camera also uses a new “Super Resolution” feature that stitches nine zoomed-in photos for a super high-res 48-megapixel shot, a feature targeted at landscape photography. Zoom is a solid addition here, given how difficult it can be to try to get a drone close to a subject, for any number of reasons. There’s also the very cool Dolly Zoom shot mode. This one might be my favorite of the bunch, though while we had the opportunity to fly the new drone atop a Manhattan rooftop, we didn’t have the clearance to try out the new feature, which requires the kind of room that we just weren’t zoned for. The new addition zooms in on an object while the drone flies in the opposite direction, creating a disorienting shot familiar to anyone who’s ever seen a Hitchcock film. DJI’s done a solid job of creating these sort of single touch features that make you look like a much more competent photographer than you actually are. The cameras aren’t swappable — that’s why DJI opted to go with two distinct SKUs on this one. It’s a bit of a bummer for photogs, but a modular camera system is certainly the kind of thing that could make sense for future upgrades. The drone’s body has been tweaked to make it more aerodynamic. DJI says the new design reduces body drag by up to 19 percent, which helps the drone achieve speeds of up to 44 miles per hour. Making the drone larger is a bit of a surprising choice, given how key portability is to the line, though obviously DJI has even more portable choices on the market now for those who prioritize size over everything else. The propellers have a raked design on the wing tips, designed to help cut down on air drag and reduce sound. The drone is a bit quieter than the first Mavic, though you’re still not going to be able to sneak up on anyone with the thing. The battery has been increased ever so slightly, as well, in part to compensate for the newer, larger size. Now the drone is capable of flying up to 31 minutes on a charge. That’s not a huge boost from its predecessor’s 28 minutes, but when it comes to keeping a drone in the air, well, you take what you can get. Obstacle avoidance has been beefed up here — definitely a good thing, given our past track record with Mavics. So too has the Advanced Pilot Assistance System (APAS), helping the drone fly around obstacles rather than simply stopping to avoid collisions. 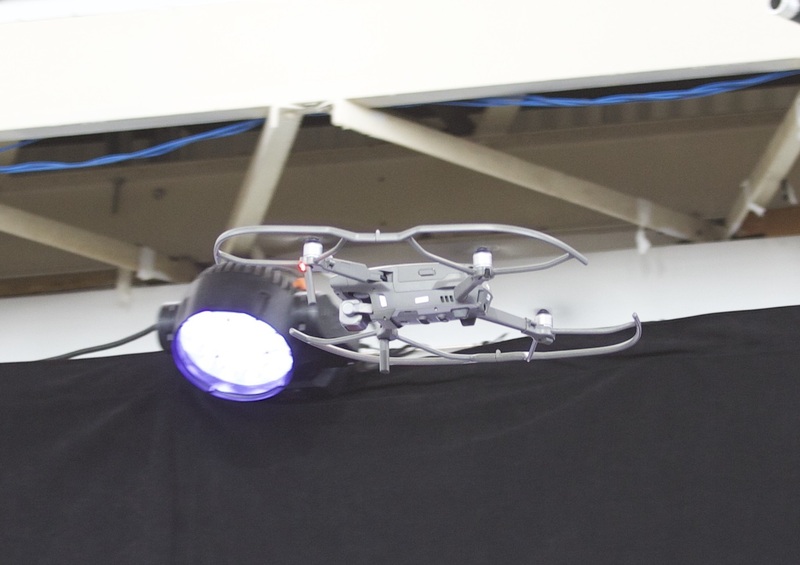 There also are lights on the bottom of the drone to help improve landings in low light. ActiveTrack, meanwhile, now utilizes three on-board front facing cameras to create a 3D map of its subject, in order to better follow along. We had the opportunity to fly the drone around a bit around Manhattan. I wouldn’t recommend flying on a city rooftop for first times, but the drone handled fairly well and was pretty responsive to the included controller. I’ve flown a few other models in the Mavic line and found the handling to be more or less on-par, while a loud alarm sounded every time it came within several feet of an obstacle. Better safe than sorry. We’ll be able to say a bit more when we’re able to spend a bit more hands-on time with the product, which should be in the very near future. The 2 Pro and 2 Zoom run $1,499 and $1,249, respectively. There’s also the standard DJI Fly More kit, which includes a bunch of extras, like two batteries, a multi-battery charging hub, extra propellers and a bag to carry all of that around. That’s $319 and can be purchased at any point. The drones are available starting today through DJI.